Dancer will twirl her way to being the life of the party with her green wreath skirt and fancy dancing shoes. She makes a great stocking stuffer alone or as a set with her friends Blitzen and Cupid. 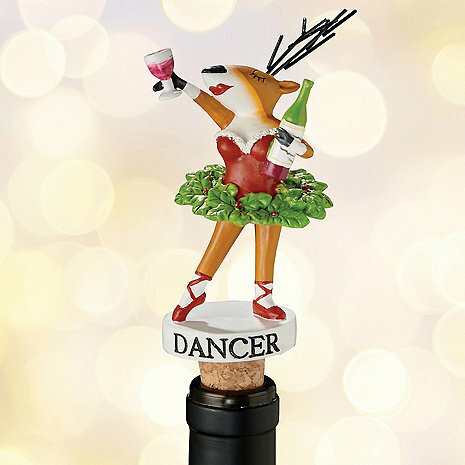 I love the dancer wine bottle stopper. This will be a great stocking stuffer. In the past we have bought one additional wine stopper and love it. You never know, in the future we might add another one to our collection.